Late U.S. Army soldier who received the Medal of Honor for his bravery in leading a reconnaissance patrol during World War II. He eventually achieved the rank of Command Sergeant Major, the highest possible rank for an enlisted soldier. He enlisted in the Army in June 1941 and was serving in the 509th Parachute Infantry Battalion by 1944. His hometown of Cleveland, Tennessee named Sgt. Paul B. Huff Parkway in his honor. He was married to a woman named Betty. 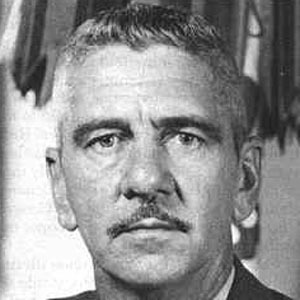 He and Ernest E. Evans both earned the Medal of Honor for their actions during World War II.